Welcome to another great week of DC wedding inspiration. We are living for this fabulous weather! What an amazing weekend for weddings. We hope that all couples had wedding days that were as smooth as the summer breezes keeping us all cool! Today’s rustic chic wedding took place in the restored barns of the Leesburg wedding venue, Riverside on the Potomac. It’s such a beautiful setting; some of our favorite rustic chic weddings have taken place here! With the ceremony overlooking the winding Potomac River that runs alongside the venue, Kristen and Mike were surrounded by friends and family for an intimate exchanging of vows. 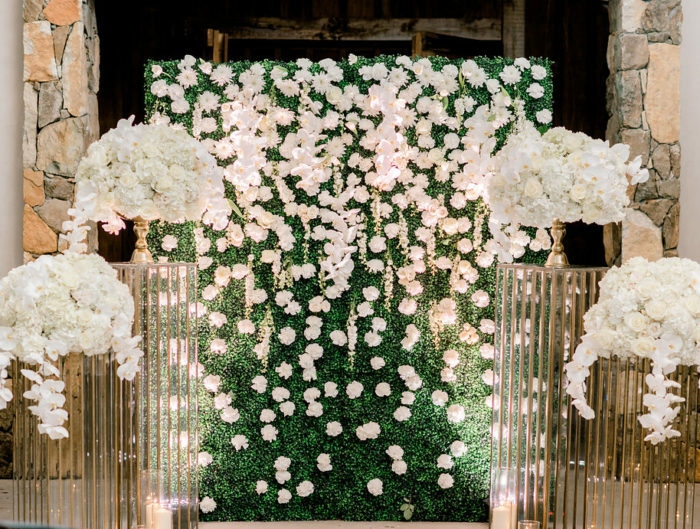 For their wedding, the couple wanted to infuse the vibe of the venue alongside a more classic look. They met this challenge by pairing lace with a mixture of wildflowers, local dahlias, and navy gingham check. We love gingham addition! It works perfectly with the venue. Almost all wedding days are fun, energetic, beautiful, and gloriously hectic roller coasters of emotion and sweet moments. Kristen and Mike orchestrated a wedding day that felt calm, warm, and intimate; each of their vendors said they had a one of a kind wedding day that was sheer perfection! Their joy is so apparent in their photos. 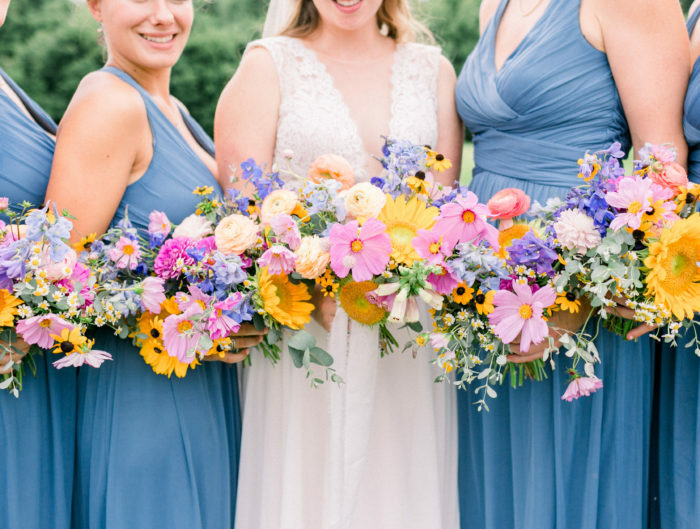 Thank you to Audra Wrisley Photography for sharing this lovely Leesburg wedding with us today!! For more wedding vendors, please visit our Washington DC area wedding vendor guide. For even more amazing Rustic ideas, check out our rustic wedding inspiration galleries and other Leesburg Virginia real weddings. Such a lovely couple and so many great captures by Audra Wrisley Photography – we loved this event- so hard to decide on a favorite moment – confess we love the shot of the happy couple amongst the beautiful gardens at Riverside. Thank you United with Love!